If you’re so inclined and the weather isn’t too inclement there is plenty to be getting on with in the garden in January. For many of us the long range weather reports are indicating above average temperatures and even some sunshine but we shall see, won’t we? We can put our trust in time-worn tasks for this month and first on the list is: have you had your garden tractor or mower and power tools serviced in readiness for the spring? If you have a non-heated greenhouse it’s good to ventilate it ready for sowing, assuming it has already been cleaned and disinfected. 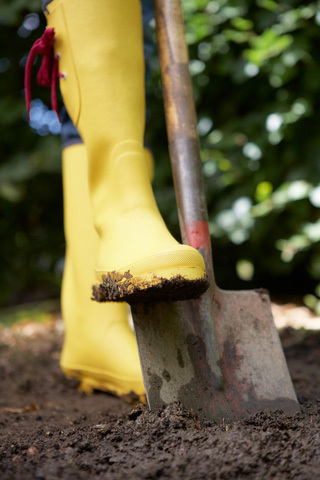 If the ground is not frozen you can still plant new fruit bushes, bare root roses, shrubs, hedging and trees. Prune apple and pear trees, dig over vacant borders and let the frost help break down the soil to a good tilth. It is actually the last chance to sow native tree and shrub seeds as well as alpines. Deciduous trees and shrubs can be moved now if you’re wanting to alter the structure of the garden. Cut old leaves off Hellebores, clean up tubs and containers and generally rake up winter debris around the garden. If you have hardwood ornamental shrubs such as Cornus, Salix, Eleagnus and Forsythia you can take cuttings now to propagate more plants. Oh yes – the Christmas tree – time to recycle if you have a chipper shredder and can turn it into mulch for the garden. Or it’s off to the garden centre with it. Or if you’re smug like us you’ll still have the Picea pungens ‘Super Blue’ bought in Christmas 2016 and kept watered and nurtured. It’s now going back on the patio ready for next year.